This is a beautiful beach hidden in North Goa. It is worth travelling here. The waves are fun and the temperature of the water is a real pleasure. There are a lot of places to stay and a lot of shacks serving delicious food. 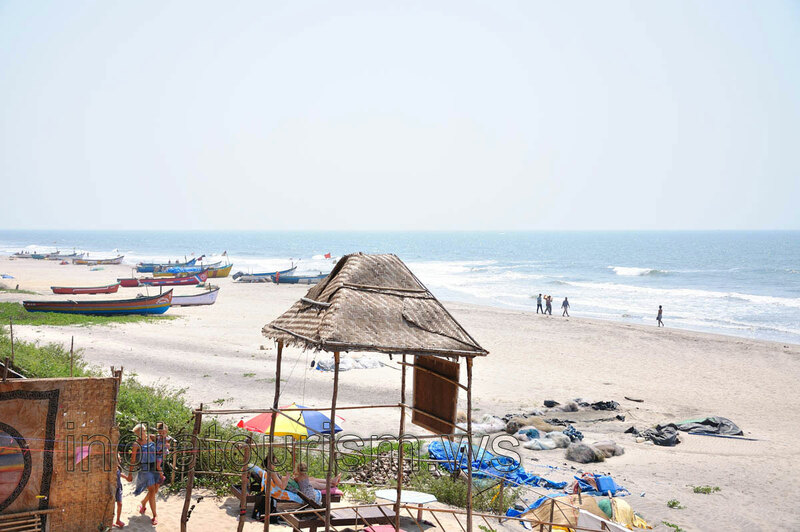 Arambol beach is one of the less crowded beach of North Goa. The beach has all the amenities, for example parking place. It is good and peaceful place. The beach has a nice evening walk. It is located around twenty five kilometers from Calangute beach to the north direction. It is shallow for a considerable length, though most goan beaches are like that. A lot of night parties happen here from November to March. And since it is less crowded on most of the days, the beach is relatively clean. It is my favourite beach in North Goa.